Al Gore caught a lot of flack last year from conservative pundits when it was reported that his monthly energy bill was about 20 times higher than that of the typical American home. Adding to these headlines were accounts of his regular excursions in a private jet. The term “environmental elitism” was used in excess and puns like “Al’s Inconvenient Energy Bill” spun out of control. Even the liberal Daily Show joined in on the joke. Al Gore is not alone. Arnold Schwarzenegger, who as the governor of California has sued the Environmental Protection Agency to regulate emissions, became the subject of similar scrutiny for his daily work commute by jet. Both, however, have waved away criticisms of their lifestyle choices by claiming to have offset their substantial use of fossil fuel through the purchase of carbon credits. 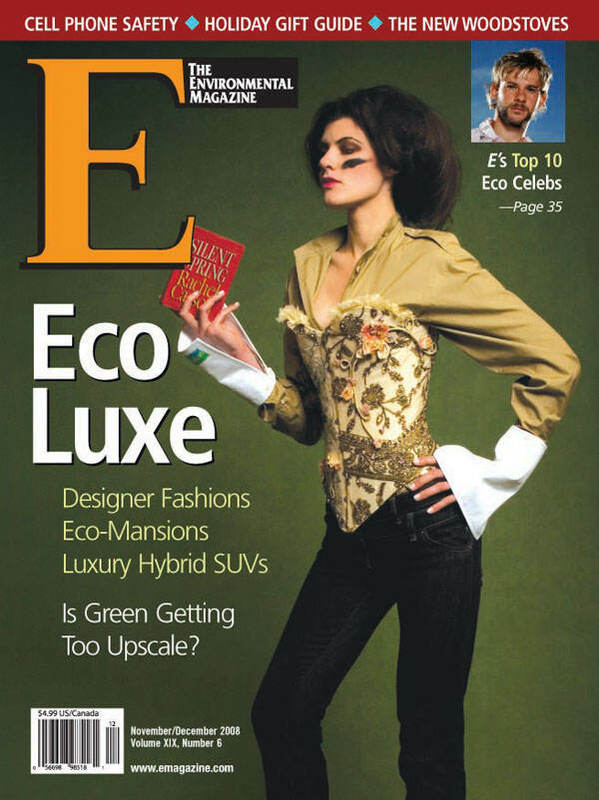 This trend has gained momentum, as even the 2008 Oscars claimed carbon neutrality. Carbon offsets are the chic new way to combat impending climate catastrophe, propelled to the limelight by celebrity endorsement. These offsets are available in many forms, ranging from tree planting to renewable energy projects. The emitter pays these projects an often handsome fee to help defray the carbon cost of their energy usage. Also known as “over-the-counter,” or OTC, offsets, they have become the popular method of choice for many political and Hollywood figures to wipe clean their personal emissions, which far outweigh that of the average American (who emits about 15 more tons of carbon per year than the global average to begin with). Environmental leaders have given legitimacy to purchasing carbon offsets, including former Vice President Al Gore (left) and California Governor Arnold Schwarzenegger. Offsets are being criticized not only by global warming naysayers, but also among select conservation and human rights groups. Accused of perpetuating a business-as-usual ethic, offsets have been charged with displacing or otherwise exploiting low-income communities (often in developing countries) where the projects take place in order to satiate the guilt of a mostly upper-middle class demographic. For instance, a project may claim to be paying a community to plant trees, while offering the community in question very little in the way of resources or land access. Hollywood has specifically come under fire for subscribing to offsets. Actors Jake Gyllenhal and Leonardo DiCaprio and the band Coldplay are all reported offset purchasers. The latest “carbon neutral” Oscars ceremony has become symbolic of the entertainment industry’s collective embrace of the market. Carbon Trade Watch, a coalition of environmental justice groups, dedicated a chapter to this phenomenon in their report The Carbon Neutral Myth. The report expresses concern over the potential ability of celebrities to ignite or sustain offsets as a trend that deters genuine and necessary lifestyle changes not only in the celebrities themselves, but also in the public that follows their lead. The percentage of people who regularly purchase offsets is relatively small, about 5%, but these folks do appear to be more than surface environmentalists. A TerraPass survey reported that the average consumer of carbon offsets has already adopted other efficiency measures—such as driving a hybrid and purchasing compact fluorescent lights for their home—well above the national average. Additionally, certain offset programs are being advocated by notable environmental groups like the Sierra Club. “Carbon offsets are more like a voluntary carbon tax that allows thoughtful people to take responsibility for their overall impact on climate change,” says Anne Hambleton, senior manager of business development of Native Energy, the carbon offset company of choice for Gore and other environmental icons. Jon Erickson, an associate professor of ecological economics at the Gund Institute of the University of Vermont, believes that the voluntary carbon market is basically perpetuating a case of “one step forward, two steps back.” Erikson, who has analyzed development projects in the Caribbean and South America, has noted that communities in developing countries can be constrained by carbon offset projects. In some cases, low-energy solar projects set up to offset luxury emissions are limiting the development of health clinics, schools and other needed services. So, what should a climate-conscious celebrity do? The Carbon Trade Watch report offers The Golden Compass author Philip Pullman as an antidote to the Hollywood offset hype. Pullman recently pledged to boycott air travel. The measure may seem extreme, but it’s telling. On closer look, offsets seem less an answer to climate change than a delay tactic to continue the consumptive behavior that caused the problem in the first place. LAURA KIESEL is an environmental freelance writer based in Burlington, Vermont.